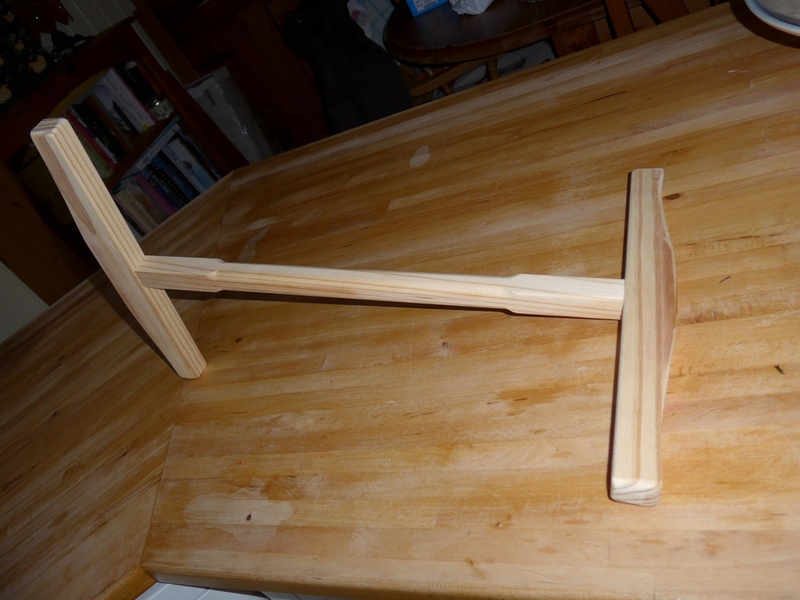 I was asked to make a Niddy Noddy. 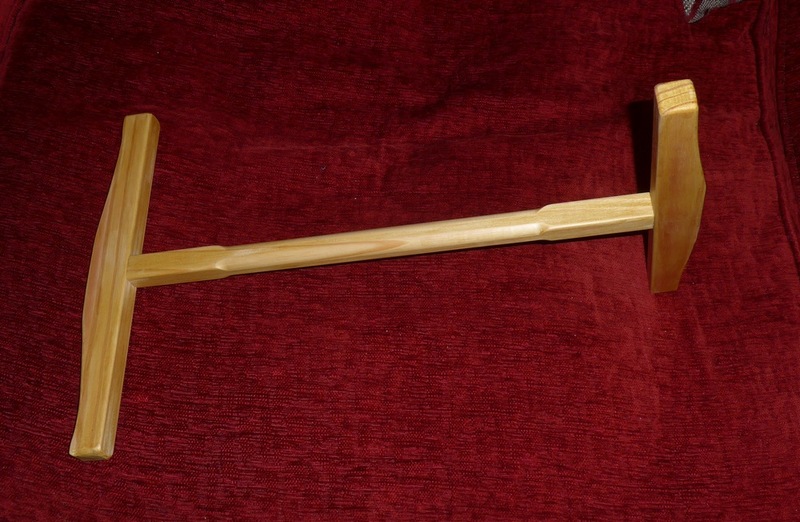 It’s something used for winding yarn around it in measured increments. This one is roughly 16″ between the bars. Add on a couple of inches for going round the bars and you should be able to get ‘yards’ of yarn. I don’t really know much (anything!) about it. I just made it. 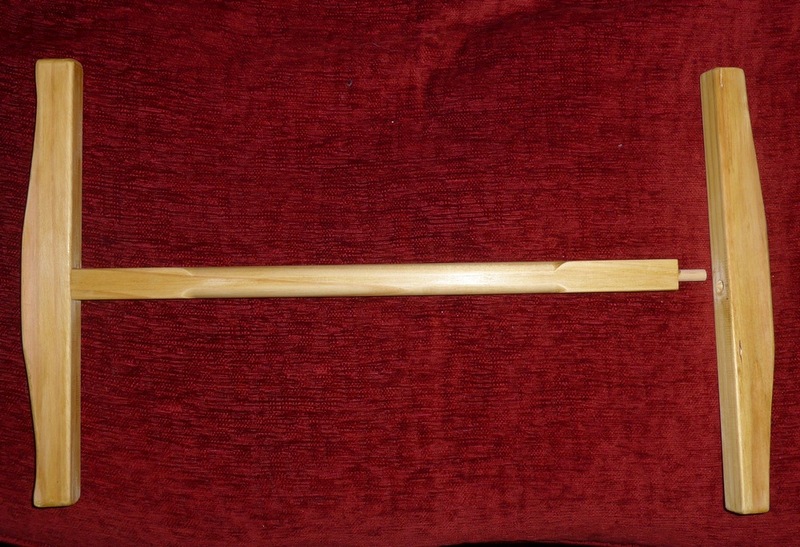 After sanding I just waxed the bare wood with a coloured wax, which slightly darkened the piece. 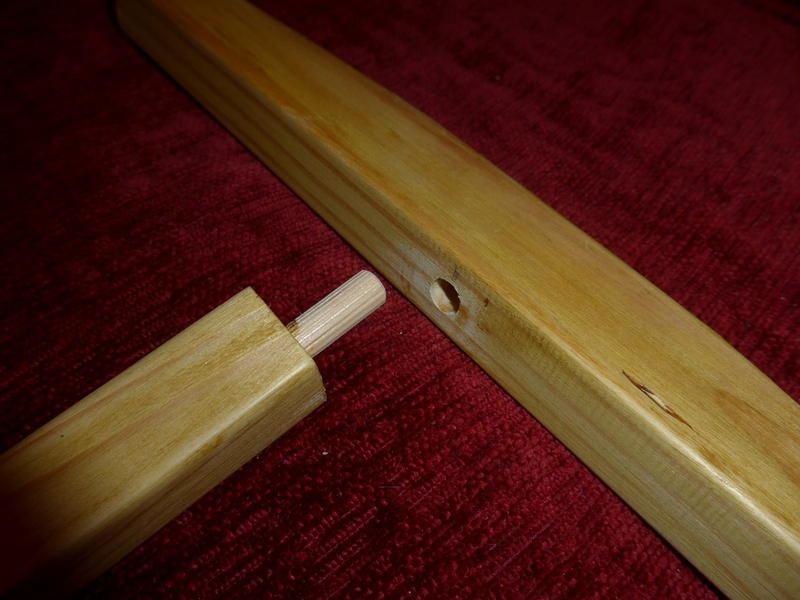 One end is fixed (glued with dowel) and the other is left as a tight-fitting dowel such that it can be rotated to enable it to be made flat for storage. I rounded the edges of the centre bar using the router table. This would make it more comfortable to hold. The trickiest part was drilling 8mm dowel holes in each end of the centre bar. This entailed unbolting my drill press from its stand and remounting it so that it overhung the base, then clamped the work-piece vertically in my bench vice.